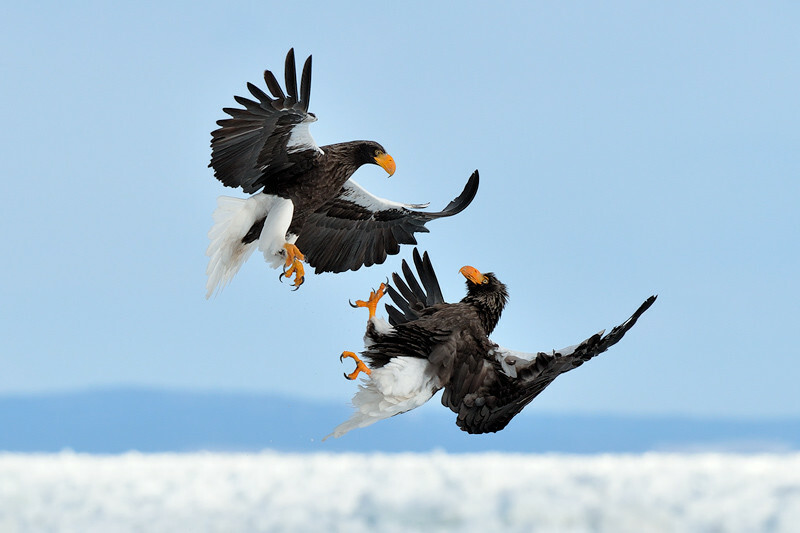 Two Steller’s sea eagles (Haliaeetus pelagicus) having a go at each other. Photographed from a boat off the coast of Hokkaido, Japan. The white stuff you see at the bottom is snow-covered sea ice.